A profitable trading strategy is the most important tool for a trader. 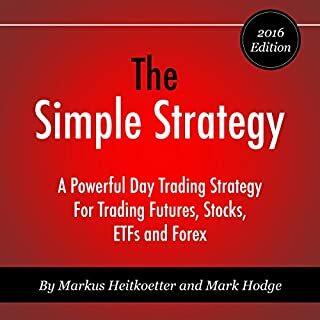 This book explains a powerful trend-following day trading strategy for trading futures, stocks, ETFs, and Forex. 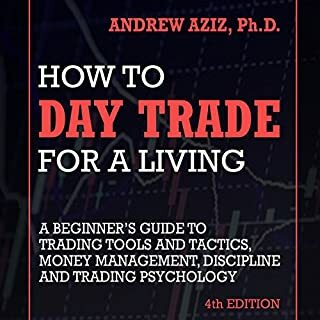 This well-thought-out training regimen begins with an in-depth look at the necessary tools of the trade, including your scanner, software, and platform, and then moves to practical advice on subjects such as how to find the right stocks to trade, how to define support and resistance levels, and how to best manage your trades in the stress of the moment. 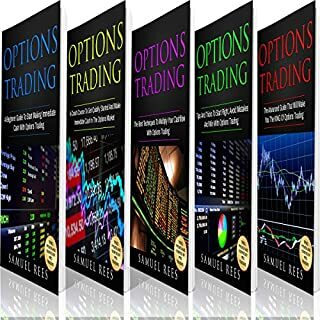 This is not your typical options trading book, plagued with jargon and written by Wall Street academics who are more concerned with showing off than with actually teaching you how to trade. In Options Trading: QuickStart Guide, ClydeBank Finance packages the wisdom of the Wall Street elite into a straight-forward and easy-to-listen-to teaching tool. Options Trading: QuickStart Guide is ClydeBank Finance at its best, making complex ideas clear while endowing listeners with a wealth of powerful new knowledge. This bible on stock trading for profit contains five manuscripts conveniently rolled up in one. This is an incredible value for your money! Lots of useful information and tips for beginners about the universe of stock trading in one consolidated book! Have you tried investing books before, only to discover that after listening and re-listening, implementing all of the recommended steps and giving it your all, you still feel a little stuck? Investing: 6 Books in 1 is here to change that. Inside this book you will find easy-to-understand, detailed information, tutorials, and advice for how to make intelligent decisions for where to place your money so that your money can work for you. They shamelessly lied to you. The health department and the fitness industry for years have surpassed the myth that fat is the enemy. They were wrong! The worst part is that they always knew it. Doctors do nothing but prescribe drugs, not treating the underlying problem: We are intaking too many carbohydrates every day. The result? Many people struggle against their weight without success. It has been shown that the Mediterranean Diet has a formula that helps burn fat by building muscles efficiently. Forex Trading: A Beginner’s Guide is for those of you who are just starting to consider trading forex but don’t know where to start, given the abundance of information on the Internet. It is a good first audiobook to listen to to gain an understanding of the very basics. When it comes to the daily trading amount for the various investment markets, the foreign exchange market, more commonly known as the forex market, blows everything else out of the water. It has been shown that the Mediterranean diet has a formula that helps burn fat by building muscles efficiently. This can be extremely useful for people who have medical illnesses where hypertension or obesity could be a dangerous life threat. If you want to know what happens in your brain when it makes and breaks habits and what neuroscience says about habits forming, then try this book. Habits are all around us. Each of us has a multitude of habits that we need to deal with regularly. From the habits we use to get us up in the morning and ready to work from those habits that aren’t so great, such as spending hours on social media at night. Habits are an easy way for the brain to delegate less important tasks to our basal ganglia so we can use the cerebral cortex to concentrate on more important things. 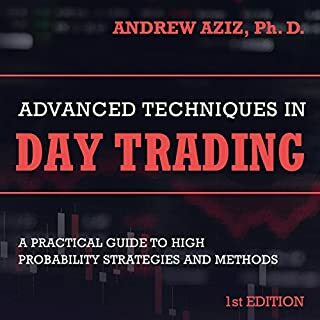 Trading: The Advanced Guide: Day Trading + Options Trading + Forex Trading + Stock Trading Advanced Guides that Will Make You the King of Trading. Four hard-hitting audiobooks conveniently packed in one powerful bundle! This is an incredible value for the money! Lots of useful information and tips for beginners about the universe of trading in 1 consolidated audiobook! Is your goal of being a successful day trader becoming bogged down by the anxiety and pressure that's involved in this highly competitive and profitable industry? Are you tired of second guessing yourself and your decisions as you make your day trades? 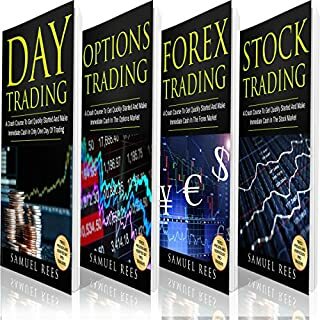 If you've answered yes to either of these questions, then you need to download this bundle audiobook - it will take your beginning efforts of becoming a day trader to the next level. Of course, there are plenty of other audiobooks that exist online about the topic of trading, but don't you want to listen to something fresh and new, rather than something that's sure to numb your brain from boredom? If this is the case for you, then there's simply no way around it. Download this bundle audiobook right now! Nice one. In this book I found a lots of information about trading.The book is really informative. Very Impressive! Trading Advanced Guides That Will Make You the King of Trading is really a good book with good concept.I like it. Good really ! In this guide book i found a lot of information which really needed in our daily life. I do recommend this book to any aspiring trader. This book is focused on the physiology of trading and how this influence being a successful, consistent trader. Excellent book. I would recommend this to anyone who is struggling with trading psychology. It has helped me move on. Very well written and the subject matter is expertly discussed. Actionable detailed information on setting up various trades makes this a very valuable trader's resource. A powerful technical approach for profiting from shorter-term price moves is sweeping the trading world. Advanced Trading: Strategies to Predict, Identify, and Trade Future Market . Best Data Analytics bundle book in my Knowledge. 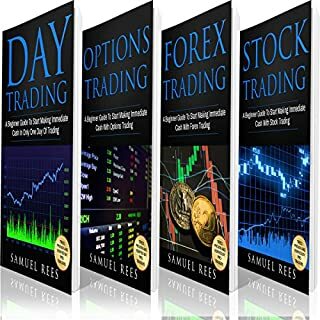 If I can quickly learn the techniques in the book and apply them in the market profitability and consider the information good enough to continue using it in my trading, it rates five stars . Most definitely changed my life! The techniques presented in this book are simply the most amazing thing I've ever witnessed. Having known nothing about options trading before being introduced to these techniques, I was somewhat skeptical and wary. This book has really impacted my trading. This book has really impacted my trading. I just got the feeling that he really wanted to help inexperienced traders out in this book. Mastering the Trade, is a must listen for anyone interested in trading or investing! I have been actively investing and recommend this book tremendously! Good presentation. Describes how New traders are exploited by experienced traders. Probably will save me some mistakes that I would have made. 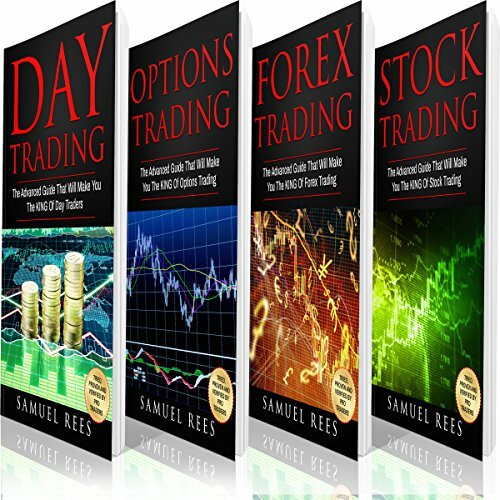 Discusses markets other than Stocks: Options, Day, and FOREX and the advantages. Ir describes some setups that you can use, the autor tells the reality, i like it and i would recomend it for someone who are not an amateur.